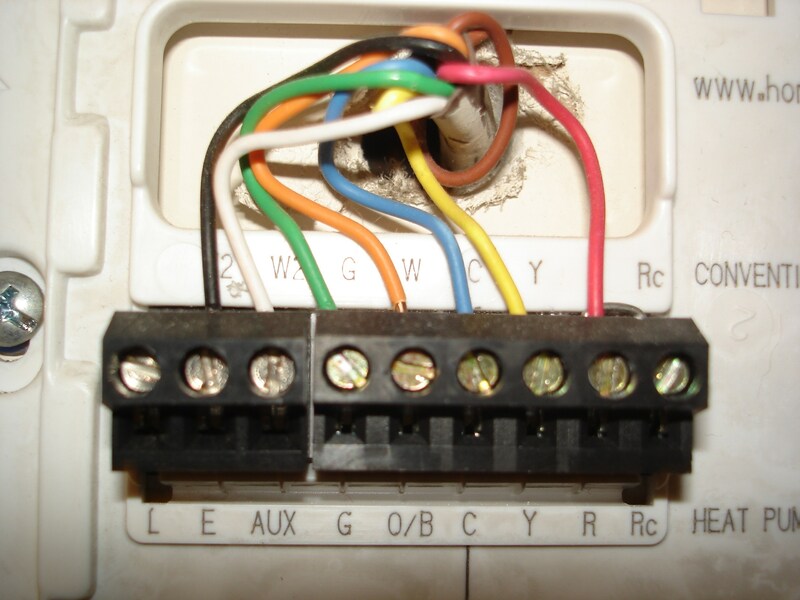 The C-Wire, or “common wire” enables the continuous flow of 24 VAC power to the thermostat. 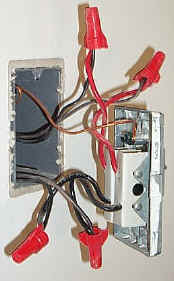 It’s a wire that (if you have one) runs all the way from your furnace to your thermostat.Questions about the C-wire are by far the biggest drivers of traffic to this site, so I’ve written this article to help you understand what the C-wire is, help you find your system’s C-wire, and help you decide what thermostat to buy based on what wires you have and/or are willing to install. This bundle green, blue, yellow, white, and red color wires is known as “5 conductor” wire and it is a common type of thermostat wiring. First, confirm that you have a 24v (low voltage) HVAC system by visiting our quick visual guide to thermostat types. Then, come back here and follow along! 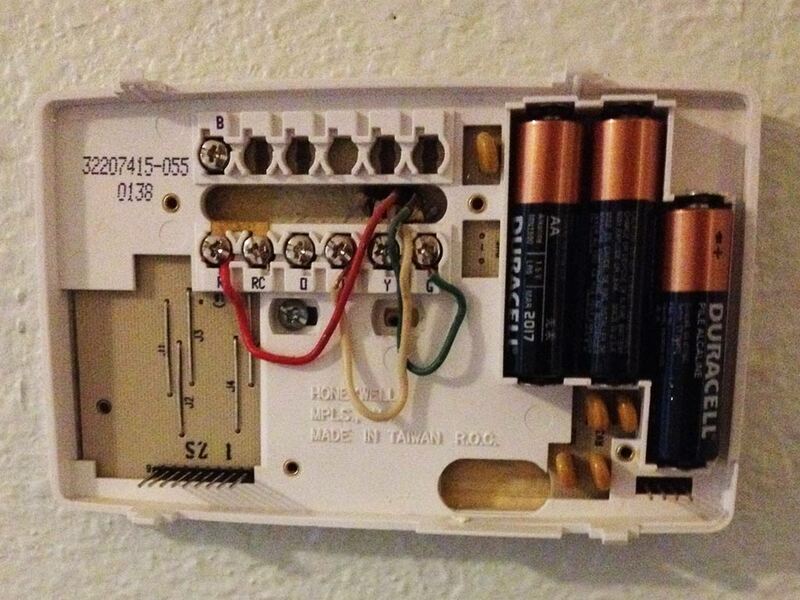 The simplest way is to pop your thermostat off the wall and look at the wires behind it and where they are hooked up. Remember, the colors don’t really mean anything. Think of the colors as a suggestion: the C-wire is usually the blue wire, but that’s not a standard.Best case scenario: you find five wires (white, red, yellow, green, blue) and possibly a sixth black wire. Everything you need is here! Almost there scenario: you find three or four thinner multicolored wires. This thermostat is hooked up only to heat in a low voltage system. 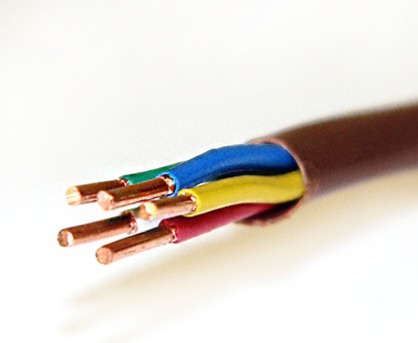 The addition of a fourth wire, either with an adapter or new wires, could act as the C-wire if properly wired to the furnace. This wiring indicates a line voltage system, and you’ll need an adapter or a smart thermostat designed for line voltage. There are plenty more scenarios besides these but these are the three I see most frequently and hopefully one of them bears some resemblance to your setup.As an aside, a lot of manufacturers assume you have both heating and cooling. If you just have heating, you might find you use fewer wires than they assume you need to. YES, I have a 24v (low voltage) system AND a C-wire! Lucky you! Take your pick of the best smart thermostats on the market today. Here’s our latest shopper’s guide!Now, if you have a heat pump or a boiler or other accessories you should check for compatibility on those, too, but chances are if you made it this far, there’s something on the market compatible with your system. YES, I have a 24v (low voltage) system but NO C-wire! 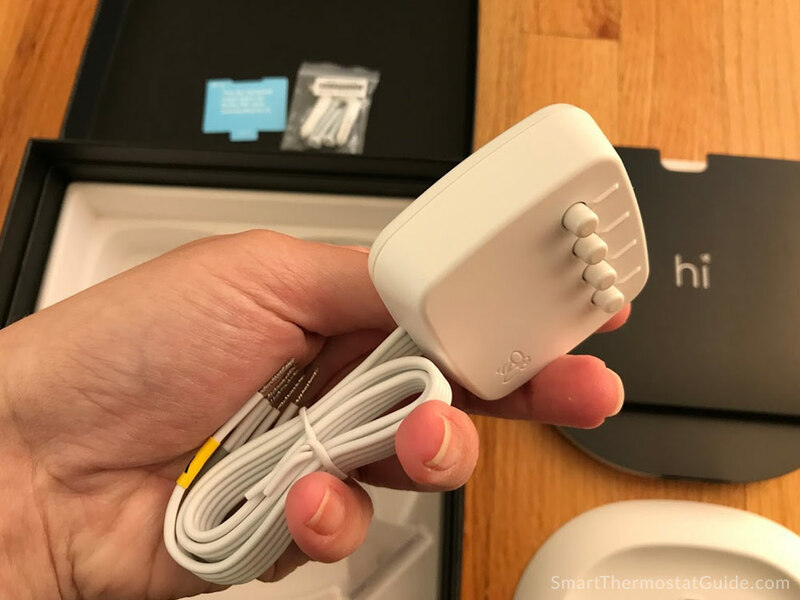 If you don’t have a C-wire and your heart is set on having a smart thermostat in your home, your have a bunch of options (which can be mostly be boiled down to “get a C-wire” or “get a smart thermostat that doesn’t require a C-wire”).Here are those options, starting from “most involved” and going all the way to “I hate this stuff, give me something easy”.These first few options assume you have a low voltage system. This is the nuclear option. 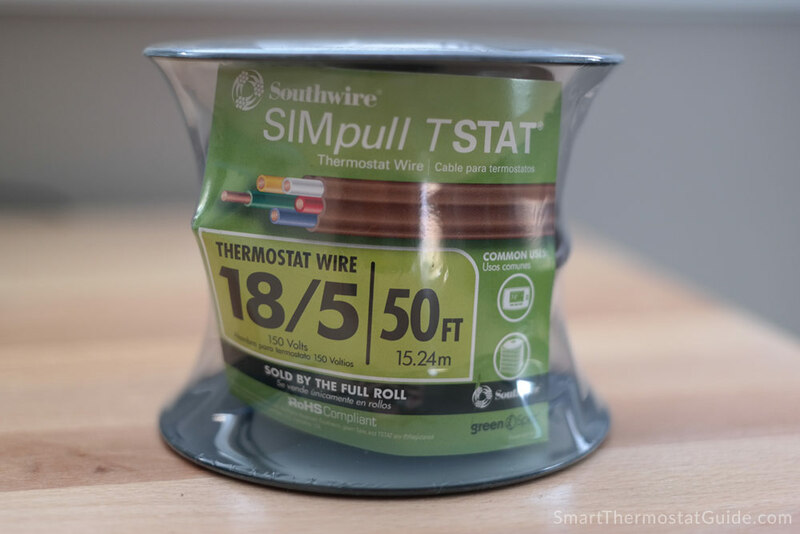 You’ll have to pull out the existing thermostat wire that runs between your furnace and your thermostat and run new wire through the floors/walls. Depending on your home, this may be a short distance or daunting task. You might want to hire a professional to do the job.On the bright side, this option future-proofs your HVAC wiring and will let you choose basically any smart thermostat you want in the foreseeable future! This is, in our opinion, the best option if you can swing it. 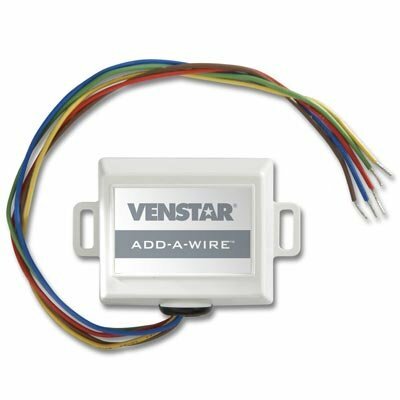 If you already have four wires and just need a fifth to be the C-wire, you’re a good candidate for a Venstar Add-a-Wire adapter. It costs less than $30 and it works great – check out our full review here. Adding a C-wire to 24VAC systems is what this thing exists for. The only catch is you have to already have a minimum of four wires present. Oh, and you will have to open up your furnace and probably spend 20-40 mins opening things up, applying Venstar’s instructions to your unique situation, and hooking it up. It should be straightforward, though. 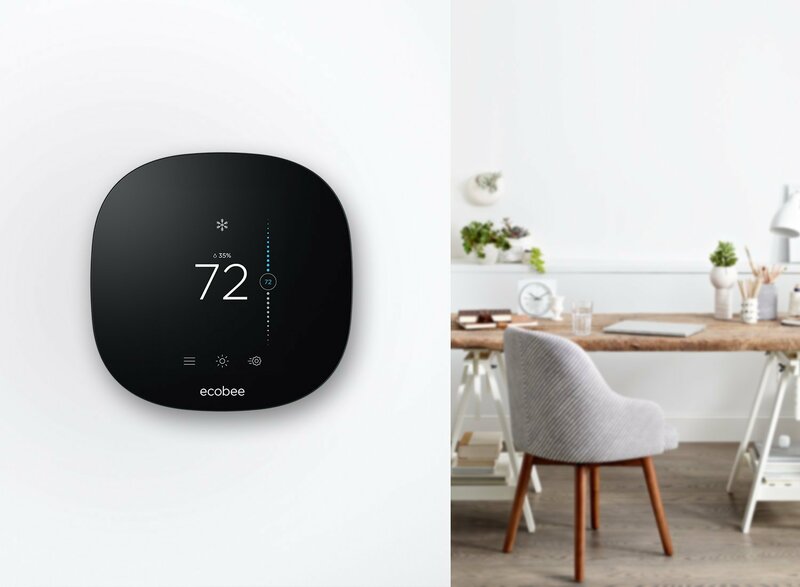 Pictured: ecobee3 lite, one of our favorite thermostats. Even though it comes with an adapter for missing c-wires, ecobee is what we’d pick even for systems with a c-wire. If you’ve got a 24v HVAC system but no C-wire, check out the ecobee product line. Every ecobee ships with an adapter that you can install yourself at your furnace to make up for a missing C-wire. It’s small, easy to install, and ships with every ecobee from the ultra deluxe Alexa-built-right-in ecobee4 down to the “budget” option, the ecobee3 lite (which sacrifices nothing other than built-in Alexa and room sensors, which you can still buy and add later).If ecobee isn’t for you for whatever reason, though, you can still grab a Venstar Add-a-Wire and pair it with the thermostat of your choice. If you have a low-voltage system with too few wires and you don’t want to (or can’t) run new wires, then check out the LuxGeo: many of its users report it works in their HVAC system when nothing else does. If your heating/cooling system seems incompatible with everything on the market, check out the LuxGEO. It’s affordable and fully featured. 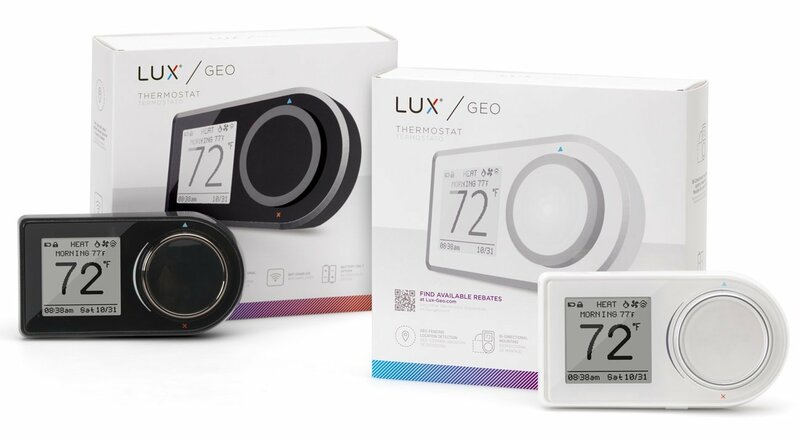 The Lux Geo WiFi Thermostat is my favorite recommendation to homeowners whose existing thermostat wiring is just completely incompatible with the market’s current popular smart thermostats. The LuxGeo has the option to run on AA lithium batteries and is suitable for 2-wire systems. It’s also a fantastic thermostat besides all that. Wait, I have a line voltage. Can I get a WiFi thermostat for my line voltage system? Unfortunately, there aren’t a ton of options for line voltage systems. 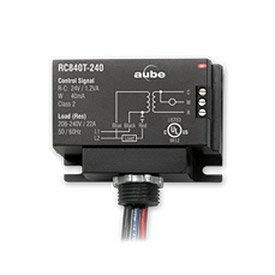 If you have a line voltage system you may still be able to get a mainstream smart thermostat if you use an adapter to step the voltage down, such as the Aube RC840T-240. Turn your line voltage system into a low voltage system with just minor installation steps required. With this adapter in place, you can shop for the low voltage thermostat of your choice and use it with your electric wall heater, electric baseboard heater, radiant heat, etc. However, it’s bulky and you’ll probably want to figure out a way to bury it in the wall. Also, you’ll need one for every line voltage heater you have, and chances are (if you have line voltage), you have a few heaters. As of this writing in early 2018 there are not many WiFi-enabled options for line voltage thermostats.If you have a baseboard heating system, you’re in luck: Caleo by CaSA is a WiFi enabled thermostat [Amazon.com] designed for use with electric baseboard heaters. It’s IFTTT compatible and you control it via your computer or your smartphone by logging into Caleo’s web-based portal (not an app, just a website, but it’s a mobile friendly website). Caleo by CaSa brings the WiFi thermostat experience to the electric baseboard crowd. Alas, it is only for “resistive loads”, meaning you can’t use it with a heater that has a fan or motor. 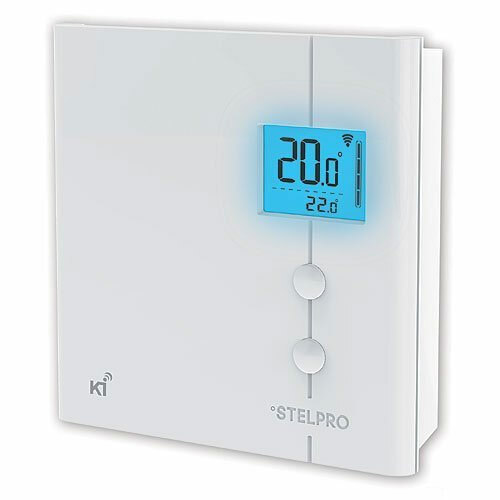 Note: Caleo doesn’t work with forced air heaters, so if your thermostat controls a heater/fan in your wall, this isn’t the thermostat for you.Another option for line voltage systems: the Stelpro KI STZW402WB+. However, this thermostat also does not work with line-voltage heaters that use a fan. 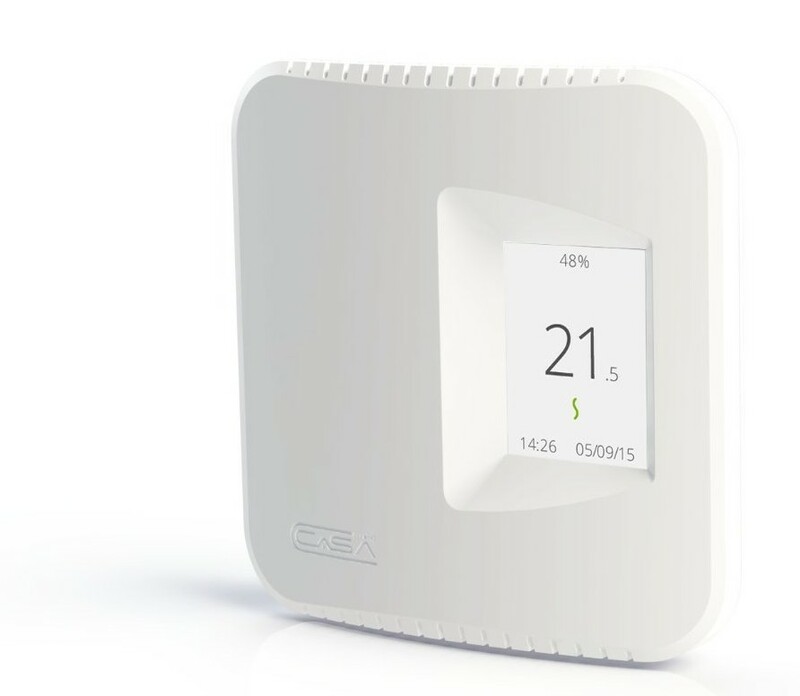 Also, the Stelpro is a Z-Wave or ZigBee thermostat. This means it is not programmable by itself. You will need a Z-Wave controller such as Samsung SmartThings (available on Amazon). To control the Stelpro from your phone, you’ll need to connect your Z-Wave controller to the Internet. Our hope for 2018 and beyond (since we own a line-voltage house ourselves!) is that more smart thermostat manufacturers will cater to this large market! Whew – and that’s the basics. There’s a lot of variation among heating/cooling systems and chances are, your heating system is different than what is featured here. In all cases, the best first step is to figure out what heating system you have and work from there: find out which manufacturers support your system and accessories. Most, if not all, smart thermostat manufacturers have a help line you can call for personalized support, too, so give ’em a call if you’re truly stumped.Remember, this is a site run by tech enthusiasts, not an HVAC expert familiar with your system, so be careful when you mess around with wires! Previous: Previous post: Now you can control your Ecobee3 with your Amazon Echo! Next: Next post: 15% off Amazon Echo and Tap – today only!